Launching and operating a spacecraft is even more complicated than you might imagine; besides having to carry its own fuel the craft also usually has to carry its own oxygen. These factors both limit the distance spacecraft are able to travel and the amount of time they can spend away from Earth. 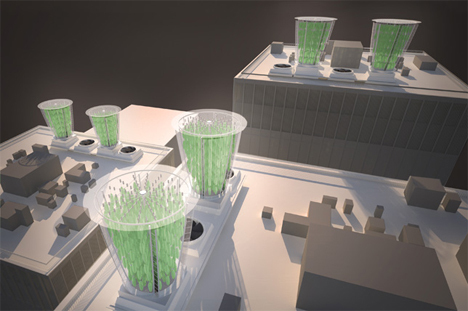 Royal College of Art graduate Julian Melchiorri may have come up with a brilliant way to solve the oxygen issue. 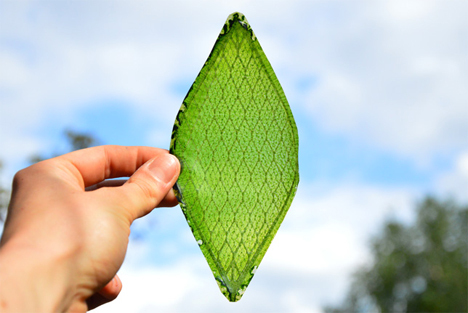 He developed a “synthetic biological leaf” that takes in water, light, and carbon dioxide before emitting oxygen – just like a real plant. 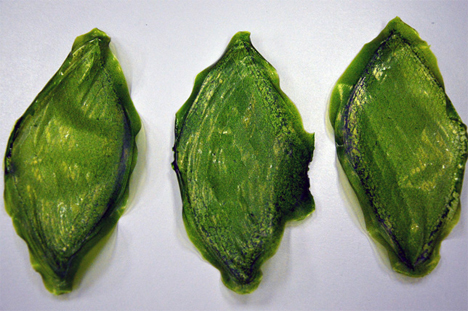 Melchiorri’s Silk Leaf consists of chloroplasts – photosynthesis-conducting organelles present in plant cells – suspended in a framework of silk protein. The silk protein is ideal for holding and stabilizing the chloroplasts. 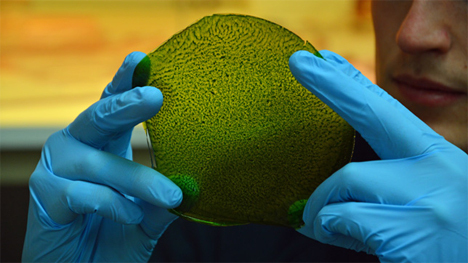 The resulting synthetic leaf is 100 percent natural, lightweight, and “breathes” just like a biological plant. The implications of this invention are vast. It could eliminate the need for spacecraft to carry oxygen on board and do away with heavy oxygen generators on the ISS and other long-term space missions. Melchiorri sees potential for his invention right here on Earth, however. 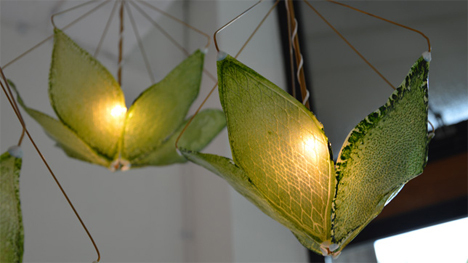 He created some light fixtures using the Silk Leaf that act as both lamps and air purifiers, and he envisions using the leaves on a large scale as building-size biological air filters.